Clinical endocrinology is a branch of Medicine that deals with the endocrine glands, actions of hormones and their metabolic consequences. Since hormones act on virtually every organ and cell type in the body, endocrinologists have a definitive knowledge about medicine. Some disorders lie very clearly and totally within the domain of the endocrinologists, being entirely or largely due to an abnormality of hormone production. This includes diabetes that is caused due to decreases secretion of insulin from pancreas (Type 1 diabetes) or hypothyroidism that is caused due to decreased secretion of thyroid hormone from the thyroid glands. Yet other diseases are not exactly of endocrine origin but have aspects of endocrinology in them. This includes examples such as osteoporosis or infertility. In these cases the endocrinologist may need to work with a physician or a gynaecologist and a multidisciplinary approach is appropriate. Dr. Kristine Parker-Curling is ABIM Board Certified in Internal Medicine and Endocrinology, Diabetes & Metabolism. She is also certified as an Obesity Specialist. 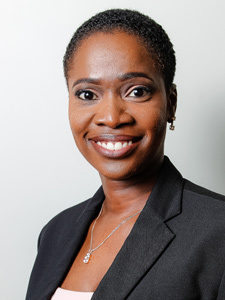 Dr. Parker-Curling is the only full-time Endocrinologist currently practicing in The Bahamas and is part of the Family Medicine Center medical team.